Welcome to exploring the wonderful benefits of Reiki. Reiki is a spiritual healing practice that originated in Japan and focuses on relaxing the body, eliminating stress, and promoting self-healing, balancing the mental, physical, emotional and spiritual bodies enhancing everything in life. This natural healing system aligns our energy centres and brings overall health and well-being on all levels. Reiki is believed to improve just about any aspect of life, from physical health to emotional well-being to stress reduction and mental clarity. Reiki is a method of using the universal energy to heal ourselves and others and bring peace and balance to the mind, body and spirit. During times of stress and illness we can have blockages which stop the easy flow of this universal energy. Reiki is a very simple yet incredibly powerful form of healing, it is a hands-on energy healing therapy that is performed through a gentle and light touch, facilitating the natural flow of energy from the Reiki practitioner to the receiver. The universal energy always flows to where it is needed, with the appropriate amount of energy that the recipient requires at that time at that time. Reiki helps you find relief from a variety of physical ailments. Reiki offers clarity on your spirituality, and life purpose, through improved connections with your Higher Self. Reiki helps you build self-esteem, self-confidence and an overall feeling of peace within yourself. Life can be hectic, especially with all of the responsibilities that people have to deal with on a daily basis. This can lead to a draining of the life force energy and a mind that is unable to focus. Anxiety and other negative emotions can arise, along with mood swings that make dealing with other people difficult. Once you have reached this point, though, Reiki can be the perfect alternative to prescription anti-depressants and anti-anxiety pills. It can naturally bring your mind and emotions back into a state of balance. By getting Reiki treatments on a regular basis, you will notice that your once frazzled and scattered energy is centred, grounded, and calm. Your mind will be more peaceful, and everyday stressors will be easier to deal with. You can enjoy clarity of mind, focus, and improved memory, and you can release negative emotions, such as fear and anger. This will help you enjoy healthier relationships with others and will also allow you to heal emotional and mental wounds, such as past traumas or grief, that you have been carrying with you. By no longer letting your negative emotions and sorrows get in the way of your tranquillity and joy, you will reduce your fatigue and feel enlivened rather than drained each day. As your stress is reduced, you will be able to see things more clearly and make better decisions that will foster your fulfilment and happiness. Your immune system will become stronger, which means you will not be as susceptible to illness, and you will feel more energized, thanks to improved sleep patterns. Stress reduction and emotional balancing can also help open you up to spiritual awareness and growth. In addition to the emotional and mental benefits that Reiki can provide, you can also heal your physical body. For many individuals who have tried every other alternative for their conditions, including conventional medications and treatments, Reiki could be the only way to find relief at last. The key lies in enhancing the life force energy that runs through the body so that it can strengthen the immune system and bring balance back to the ailing patient’s various organ systems in order to promote healing from within rather than simply masking symptoms. Some of the many conditions that can be alleviated or eliminated with regular Reiki sessions include chronic fatigue, sciatica, migraines, arthritis, asthma, insomnia, and symptoms associated with menopause. If you have undergone any type of surgery, Reiki healing sessions can also have a dramatic impact upon your recovery. It can actually speed up the healing process after a surgery. And if you are receiving long-term treatments for a chronic condition, you can rest assured that Reiki will not adversely affect the potency of the treatments you receive. For example, someone who is undergoing chemotherapy treatments for cancer can take Reiki sessions in order to reduce the severity of the side effects associated with the drugs without getting in the way of their fight against the cancer. And the same holds true for other medications that can treat disease but cause unwanted side effects. Whether you want to treat a physical, mental, or emotional problem, Reiki is available to all people everywhere. And individuals of all ages can reap the benefits of this treatment, from babies and toddlers to young children, teenagers, adults, and the elderly. Even pets can benefit from Reiki sessions in the same ways that people can. It is a completely non-invasive healing modality that works with the body rather than against it, and it does not cause any side effects. Although Reiki can be used to treat current physical, mental, and emotional issues, as well as past grievances that have been hindering your progress or adversely affecting your body, mind, and spirit, this form of healing may prevent future problems as well. Reiki healers who have gone through all of the levels required to become masters in this field have the experience and skills necessary to strengthen your body against future physical and emotional ailments. At Natura our practitioners are all Master Reiki Practitioners. Off course, nothing is going to give you immortality or protect you from every possible health condition out there, but Reiki has given many people all over the world incredible healing benefits that have strengthened the life force enough to keep a variety of problems at bay. Chakras are energy centres found throughout the body and, even though they are not physical, they do have an effect upon the various organ systems that keep you healthy and strong. When one or more of the chakras are blocked, energy flow is inhibited. This can result in emotional, mental, and physical distress. There are several ways to naturally open the chakras and bring them back into a state of balance, one of which is Reiki. Because the chakras are connected to and affect the life force, by adjusting and balancing them through Reiki, you can enjoy better overall health. Many people who hear and experience the incredible benefits that Reiki can provide choose to become healers themselves. If you are interested in helping others feel better both physically and emotionally, consider becoming a healer as well. 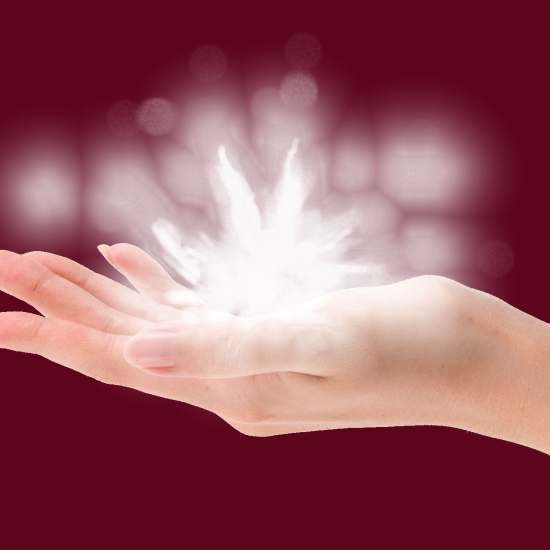 We offer Reiki 1st Degree, 2nd Degree and Reiki Master Courses through our Institute. Reiki healing is not a medical treatment nor is it intended to take the place of one.